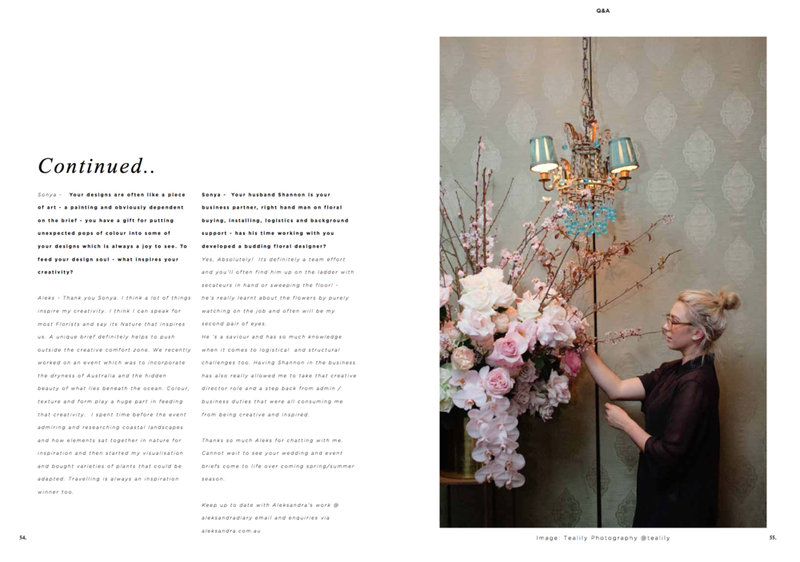 Co - creating with flowers..
Aleksandra has been a botanical artist for over ten years, co-creating with nature to create unique, creative and bespoke floral experiences. Her love of all things flowers started in her youth. Growing up on a property in Dural with a family-run nursery, botanical roots were planted in her destiny. Her long-lasting love affair with flowers comes through in everything she does. 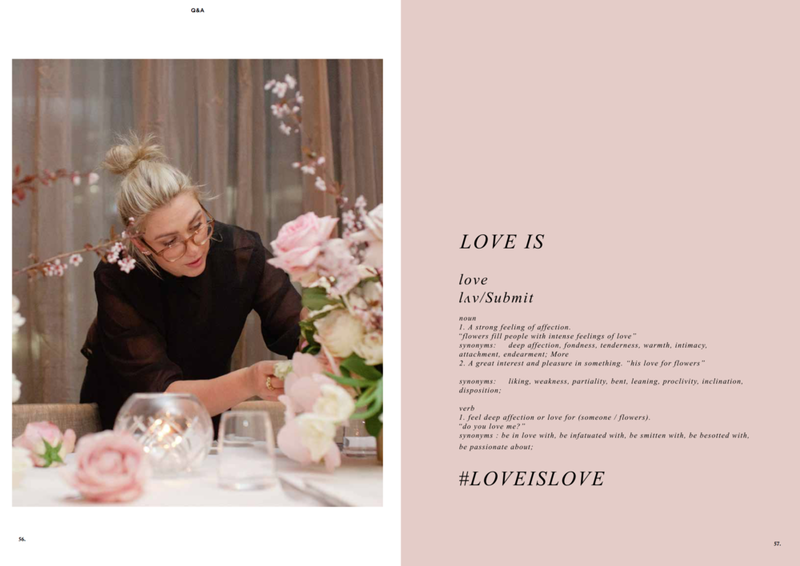 She’s a creator of nature, a botanical artist, creating floral compositions and installations for weddings, events, fashion shows, photography and film shoots, as well as private occasions; providing creative direction for floral and botanical styling to enhance spaces and settings all over Australia. Her imagination dances and her heart flutters as she makes magic with natural beauty. Aleksandra exists to surprise and delight people with beautiful co-created botanical and flower styling, leaving clients feeling happy and inspired. 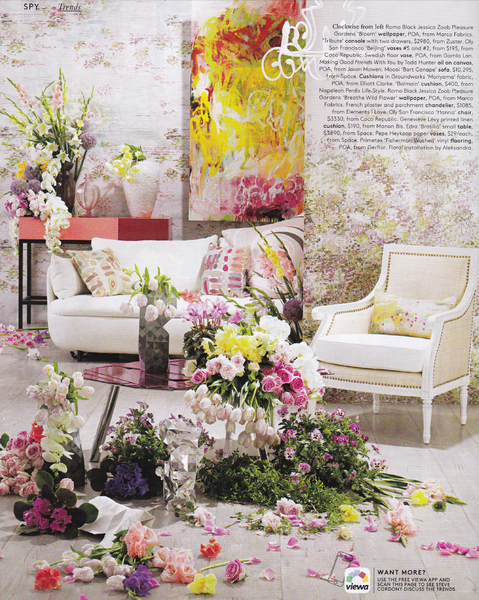 Every project with Aleksandra is a high-end floral experience, injected with a burst of personality. She is a creator of creativity and luxury, but doesn’t mind getting her hands dirty. 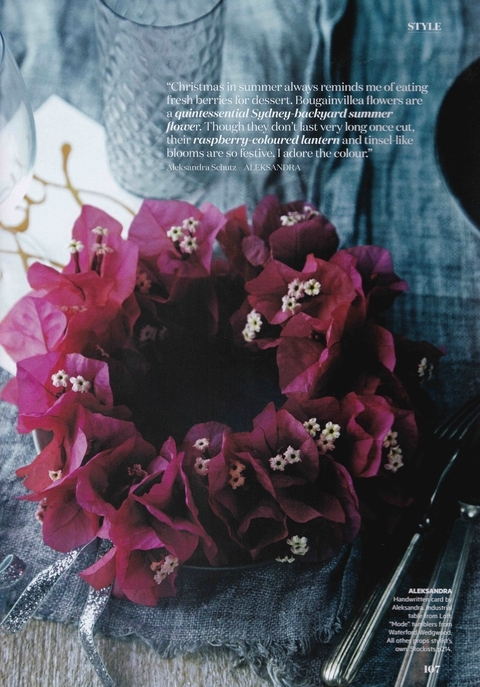 She forages and hand selects seasonal blooms from local farms and her invaluable growers at the Sydney Flower Market. Her ability to conceptualise, create and inspire with nature is something truly unique. 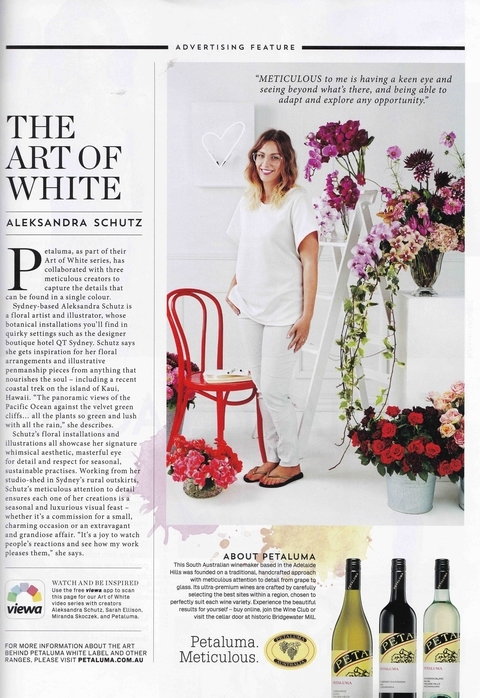 Aleksandra's clients include QT Hotel, Myer, Paspaley, Cerrone, Cartier, Patron, Omega and Hamilton Island to name a few. The beautiful photography you see on this website was created by photographer Luisa Brimble and prop stylist Cailtlin Melling. Sign up to receive news and early access to seasonal offerings from Aleksandra’s floral studio.